If you want the look , the feel , the energy, the history and the romance that natural stone brings to your home, then you should go back to our Classic Soapstone gallery and make a selection there. If you are willing to compromise the above for any reason and choose a man made quartz product , we’ve got something for you too. Soapstone Quartz is a man made product made of natural quartz and other raw materials . It is a color variation of Quartz, created to look like soapstone. 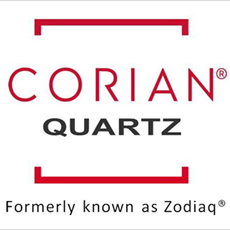 Currently Silestone by Cosentino and Corian Quartz (formerly Zodiaq Quartz) offer “soapstone looking quartz” slabs. 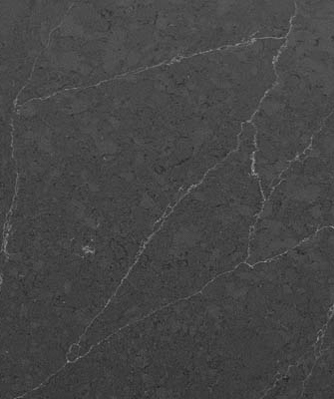 The Corian product is called Nero Soapstone. 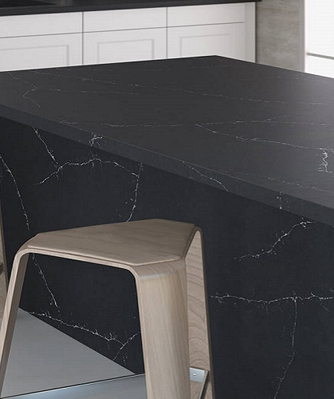 The Silestone product is called Charcoal Soapstone. We are certified fabricators and installers for both manufacturers. Made with extremely hard quartz crystals, Quartz keeps its good looks and survives the impact of nicks and cuts that can occur with daily wear and tear, minimizing short and long-term maintenance. Quartz is found in great abundance in the earth – it is naturally hard and scratch-resistant. Please call us toll free for more information and to schedule a visit to our showroom and learn more about this product.